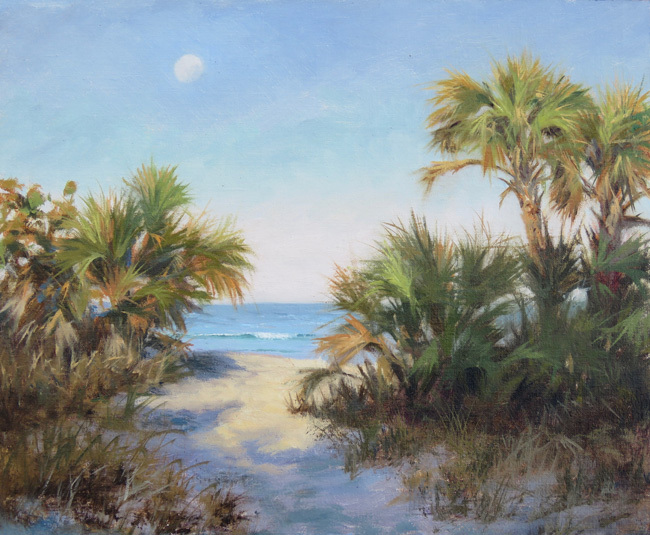 Morning Moon - 10" x 12" - Oil on Panel - $2100. 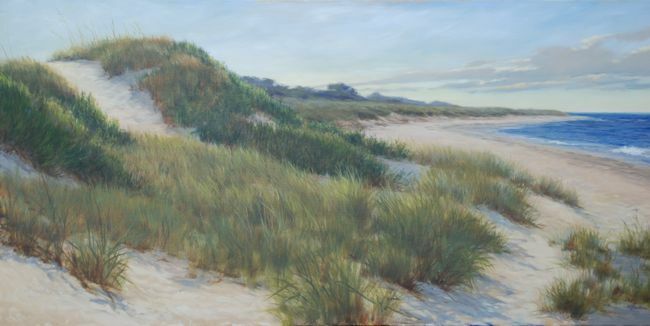 Shell Seekers - 12" x 10" - Oil on Panel - $2100. 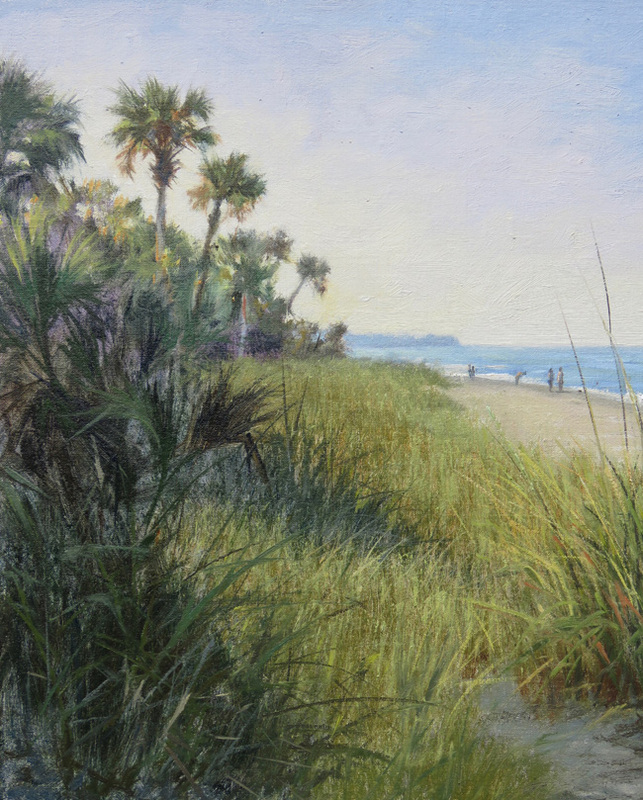 Second Setting	- 24" x 36" - oil on linen	- $9,500. 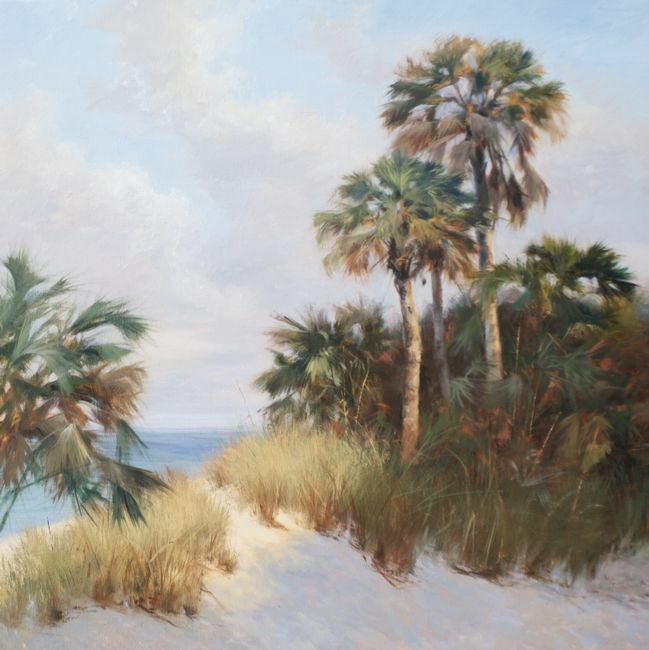 Through the Palms	- 24" x 48"	- oil on linen	- $13,000. 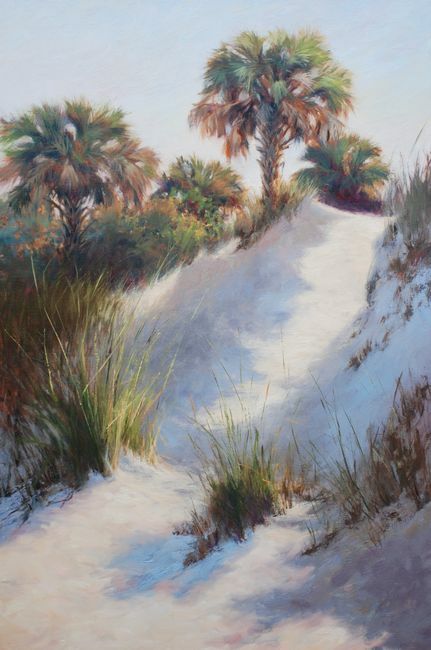 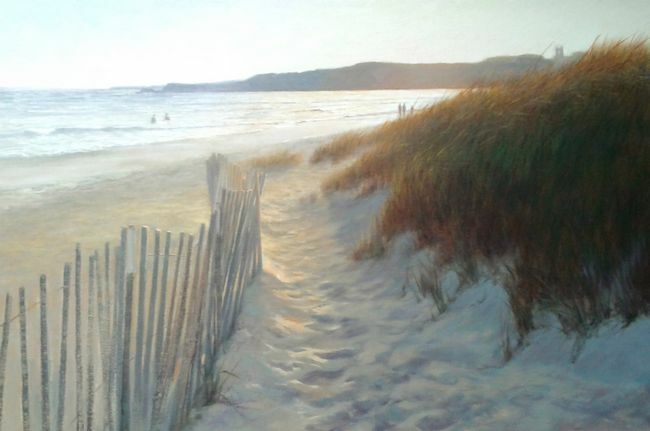 Beach Wild - 36" x 24" - oil on linen	- $7,500. 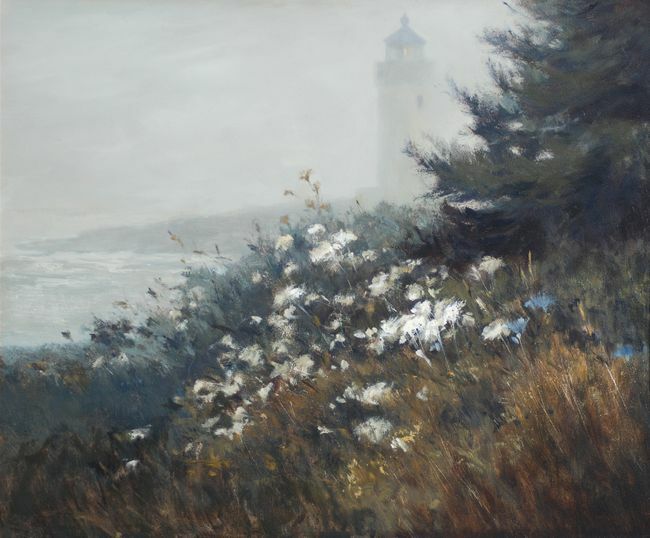 Fog Horn & Queen Anne's Lace - oil on panel - $5800.